Butterfly enthusiasts, citing a violation of property rights, have taken to a federal court in an attempt to block construction of a border wall near the Rio Grande. The North American Butterfly Association, which operates the National Butterfly Center in southern Texas, requested a judge on Monday for a temporary restraining order against wall construction. The association argues that construction not only interferes with their property rights, but also poses “adverse environmental impacts” to critical habitats and endangered species living in the region. The federal government must respond to the court by Feb. 22. “The issue is not whether butterflies can fly over a wall, but whether private property (farms, businesses, homes) should be seized and destroyed for a project that does not serve the greater good or enhance national security,” read a GoFundMe description launched by the National Butterfly Center’s executive director. The GoFundMe has raised over $90,000 to help pay for the association’s legal fees as it battles the federal government in court. The association — which filed its first suit against the Department of Homeland Security in December 2017 — has been battling wall construction in court for over a year. Despite the butterfly enthusiasts’ best efforts, work on the border wall near the Rio Grande is still underway. The project was already approved and funded as part of 2018 fiscal year’s budget. The lawsuit comes as the Trump administration is fighting to secure funding for more wall construction along the U.S.-Mexico border. 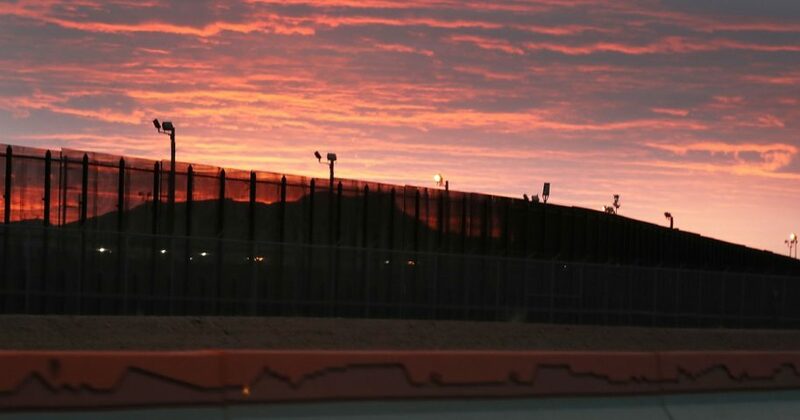 Congressional lawmakers tasked with finding a compromise on border security funding announced on Monday that they’ve reached a preliminary deal which would include $1.375 billion for a barrier and 55 miles of new border fencing. Two sources familiar with the process informed The Daily Caller that, while Trump is “not happy” with the compromise, he is willing to sign off on it. “I want to thank all Republicans for the work you have done in dealing with the Radical Left on Border Security. Not an easy task, but the Wall is being built and will be a great achievement and contributor toward life and safety within our Country!” the president tweeted on Tuesday night, appearing to give public approval to the deal.